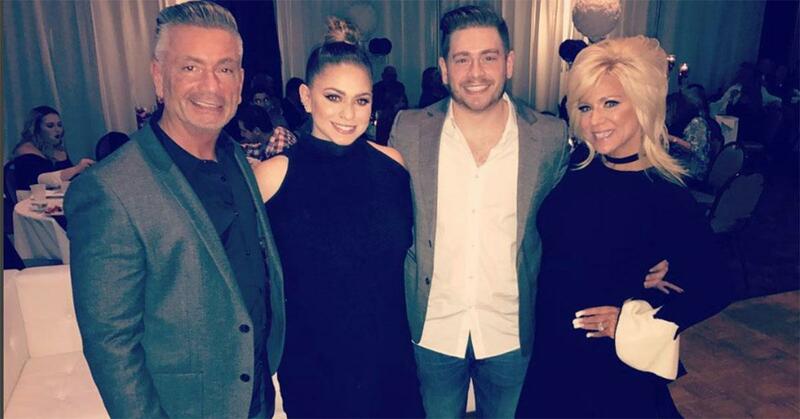 'Long Island Medium' Star Larry Caputo Has a New Girlfriend — But What About Theresa? 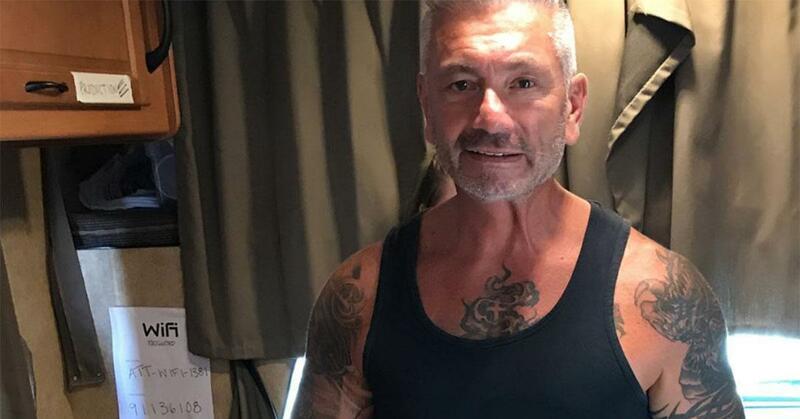 It's been nearly a year since Long Island Medium star Theresa Caputo filed for divorce, but fans are still curious about her husband, Larry. The couple, who live on different coasts now, recently reunited after months apart — and for Larry the moment was harder than expected. "I know there are some things I want to say, and need to tell her," he said on the show. "She's been a part of my life for so long that I just want to know how she's doing and I'm sure she'd like to know how I'm doing and I want to tell her how I'm doing." However, it doesn't seem like Larry, who is currently residing in Santa Monica, is planning to move back to the east coast anytime soon. So, does this mean Larry has a girlfriend? It looks like Larry does have a new lady in his life. This past summer, Larry revealed to TMZ that he was seeing someone — and according to reports, it is 53-year-old Connie Stauddy. Ironically, it is because of Theresa that they met in the first place. Connie allegedly reached out to the Long Island Medium star for a reading, and came into contact with Larry instead. They kept in touch and have been dating long distance for some time now, seemingly putting an end to fan rumors that Larry is gay. Unfortunately, unlike her ex-husband, Theresa is not dating. "Let me finish getting divorced and then you can look for me on Tinder. How's that?" she joked to E! News. Why did Theresa and Larry divorce? 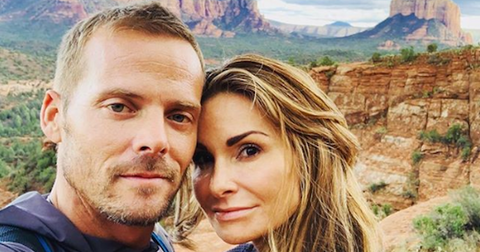 Last December, the former couple released a statement explaining why they decided to separate. "After 28 years of marriage, we have decided to legally separate," the statement read. "We will always love each other and our two wonderful children. We are united in supporting each other and our family. Please respect our privacy during this time." Since then, Theresa opened up more about the divorce, reassuring fans that the Caputos are still on good terms. "At the end of the day, we're still a family. Just because we're separated, doesn't mean we still don't care about each other," she told GoodHousekeeping. "We still have a family. 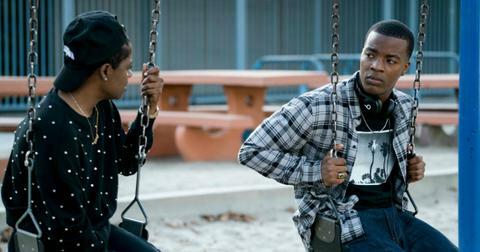 We still have a friendship, which is very, very, important." As for how their kids, Larry Jr. and Victoria, are handling the breakup, Theresa was honest. "Especially with this, it's uncomfortable and it's hard for my kids. They don't want to even talk about it with me, period," she added. "They know that they can come to Larry and I, you know, if they ever want to talk about it. [We] kind of just left it in their hands." What is Larry doing now? Larry is living his best life in California – and spends a lot of time in the gym, at least according to his Instagram profile. The 62-year-old recently shared a selfie showing off his six-pack, and fans were impressed. "Good Luck Larry, You are looking fantastic," one follower commented before another jokingly added, "Revenge body on point!" 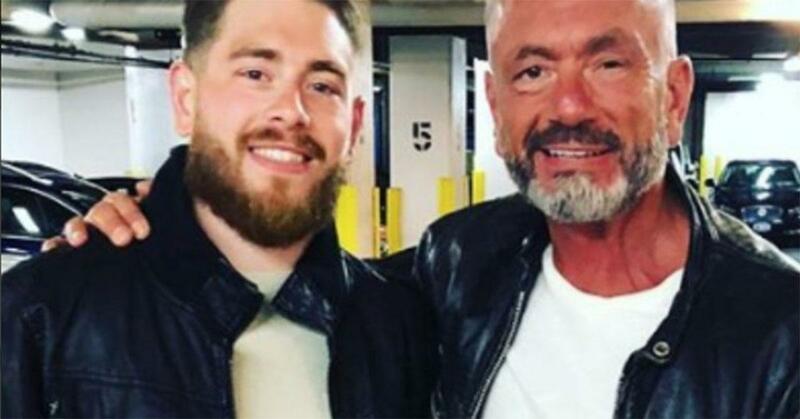 Larry with his son, Larry Jr.
Did the Long Island Medium star's husband have a stroke? Larry did not have a stroke but in 2001 he underwent surgery to treat an Acoustic Neuroma — a noncancerous tumor that grows on the main nerve that connects the ear to the brain — and due to the procedure he lost his hearing on that side and his face was partially paralyzed. "My wife never looked at me or treated me any differently. That’s the great thing about the support Theresa and I have for each other," he told Inked magazine in 2015. "I feel like sometimes in some marriages, the wife wouldn’t want to be with the husband anymore and the relationship would break off. I always thought, ‘How would I be if that happened to Theresa?’ But she stuck by me through the whole thing. 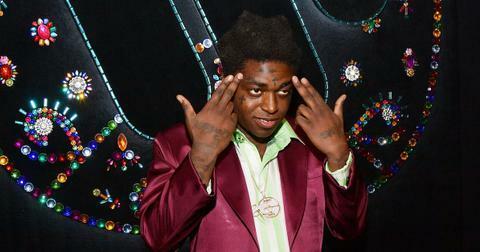 It was a long recovery period." Watch Long Island Medium Monday nights at 8 p.m. on TLC. 'The Little Couple's Nanny Kate Made the Move to Florida With the Klein Family!